In this book, I have presented hypnotherapy in a way that anyone can understand it from a beginner to a licensed professional. This book is research based so it can be used as a reference by medical doctors and PhD psychologists. 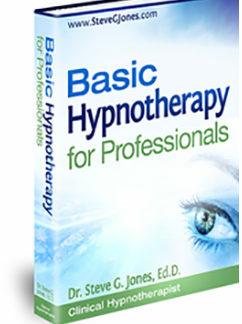 However, everyone will enjoy this succinct book on the process of hypnotherapy. For those who are interested in hypnotherapy, I also have provided all the office forms and a detailed account of how to work with clients. The questions at the end of the chapter add an academic flavor to the book so that it also be used in the classroom. Each chapter includes questions and a final exam is included at the end of the book. 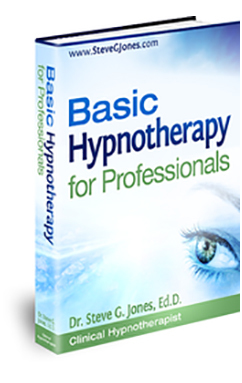 There are many samples of the components of a hypnosis session and Jones teaches his readers how to tailor a session to a specific client. Basic Hypnotherapy for Professionals discusses the many components of a hypnosis session including pretalk, induction, deepening, scripts, amnesia, and trance termination. People interested in becoming a hypnotherapist can use the book and it can also be used as a textbook. Jones’ book teaches self-hypnosis, the act of training oneself to be hypnotized. This means that people can learn self-hypnosis for weight-loss, motivation, and confidence by reading this book.